A bill to restrict exports of toxic e-waste to developing nations was introduced yesterday in the House and today in the Senate, with bi-partisan sponsorship. HR 2284 (S1270) would allow the export of tested and working used electronics, but prevent exports of untested or non-working equipment or parts containing certain toxic substances, if they are destined for developing nations. Solving the e-waste export problem is the most important step that the federal government can take on the e-waste issue. State laws and other efforts are diverting e-waste from the landfills to recyclers. We have a lot of good work going on around the country to promote e-waste recycling, including 25 states passing laws on e-waste recycling. Some of the manufacturers – notably Dell and Best Buy – are making the effort to take back e-waste beyond what the laws require. Many government agencies and non-profits are actively promoting recycling, and community collection events are common in many areas. But many of these “recyclers” don’t recycle it. Unfortunately, we can’t say that all these efforts are resulting in real recycling. – in fact, some is surely resulting in more exporting of e-waste. 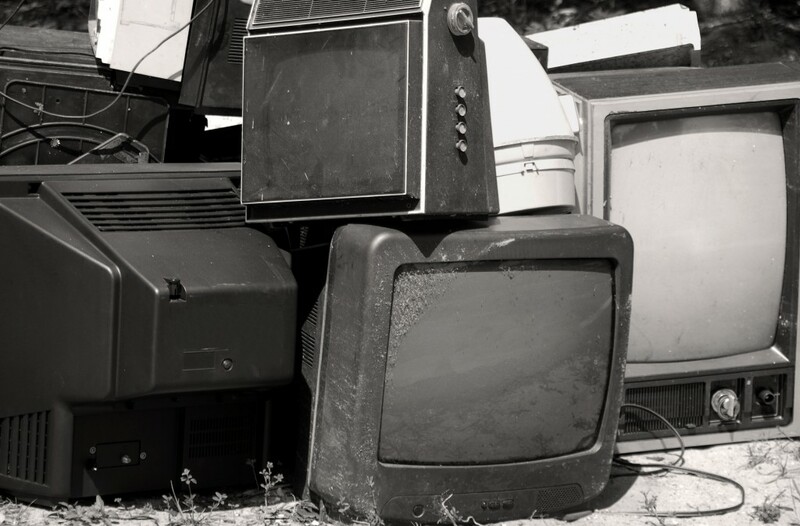 Some of the manufacturers have policies prohibiting e-waste exporting to developing nations, but their takeback programs don’t handle all the e-waste being collected. Still, we estimate that 50-80% of e-waste that gets into recyclers’ hands is exported to developing countries, where it causes great harm. We need to close the door on this cheap and dirty option now, as all these new efforts to promote recycling are just taking off. States can’t regulate on export issue. While the State legislators passing e-waste laws don’t want to see the e-waste collected in their state programs simply exported to developing countries, they are not legally able to stop it. Constitutionally, e-waste export is considered a federal trade issue, and under the jurisdiction of the federal government, not the states. So we need Congress to act here, as the states can’t legally do it. Export bill would bring jobs home to the U.S. We’ve been exporting a lot of jobs with our e-waste. Responsible recyclers here in the U.S. tell us they could add more jobs here, and expand their operations if this law were passed. Some recyclers would make capital investments (in facilities, or in equipment like shredders) if they knew they had a stead flow of products coming in. But they can’t compete with someone exporting to the countries with weak laws and no health and safety requirements. This bill would allow them to grow their businesses and add jobs, especially important in this economy. National security problem: counterfeit chips from e-waste. Could a Pentium 1 chip from the ancient desktop that you finally “recycled” last Earth Day, find it’s way into our military’s communications or security equipment? It’s very possible. E-waste from China is a primary source for the chip counterfeiters, who take our old consumer grade chips, sand off the ID numbers, and pass them off as military grade, selling them into the U.S. defense companies. It’s become a huge problem in the defense industry. This bill would help to eliminate the source for some of those counterfeiters. The manufacturers support this action. Leading electronics manufacturers already have policies that are consistent with HR 2284. HP, Dell, Samsung, Apple, and Best Buy have all endorse the legislation. Today, HP issued a statement challenging other companies to support this legislation. Passing this legislation would help address environmental, public health, and national security problems, and help the economy by promoting business development and creating green jobs. We applaud the Congressional leaders on both sides of the aisle who have come together to introduce this important legislation.